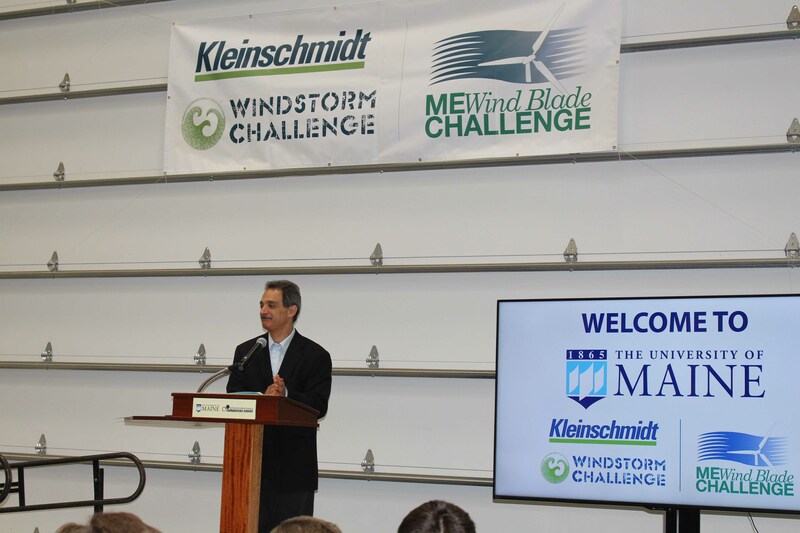 The 2019 Kleinschmidt Windstorm Challenge will be held on Friday, May 17, 2019, at the UMaine Advanced Structures and Composites Center. 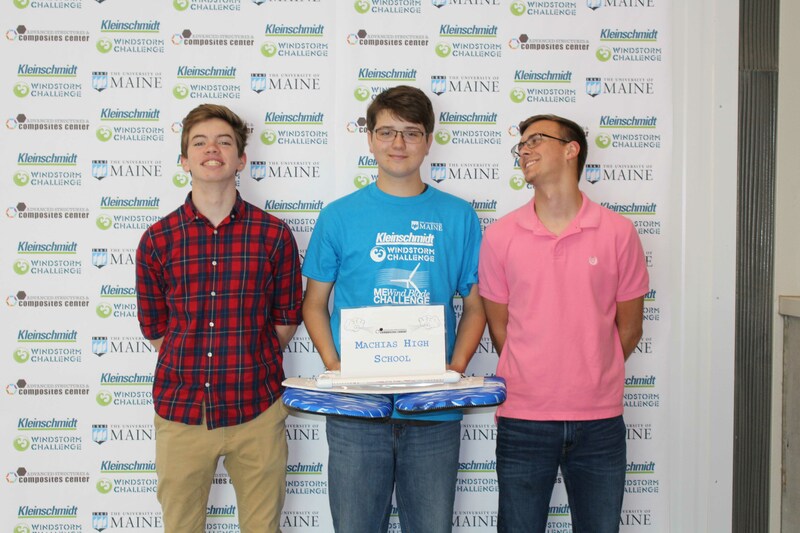 The Kleinschmidt Windstorm Challenge, hosted by the University of Maine, asks teams of students to design and construct a floating platform for a scale model wind turbine, and then deliver a presentation to a panel of expert judges. 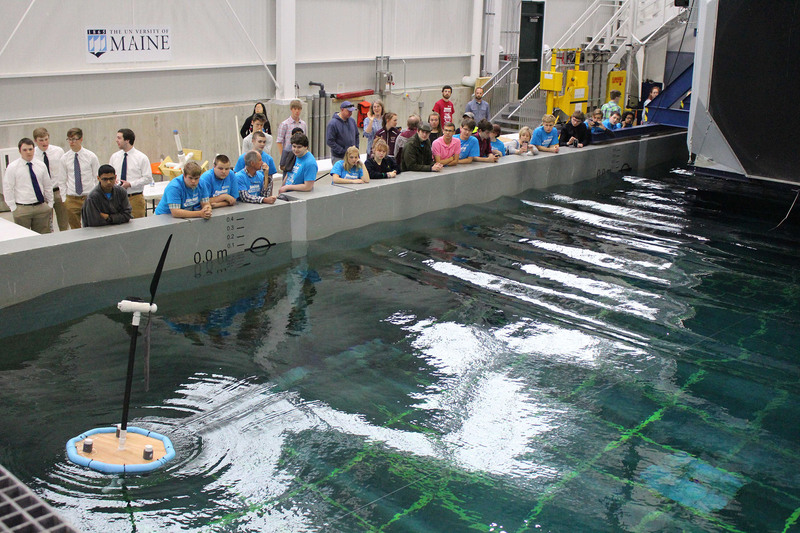 The event is designed for student teams with a diverse range of experience. We encourage all middle and high school students to participate. The 2019 Guidebook can be downloaded, here. 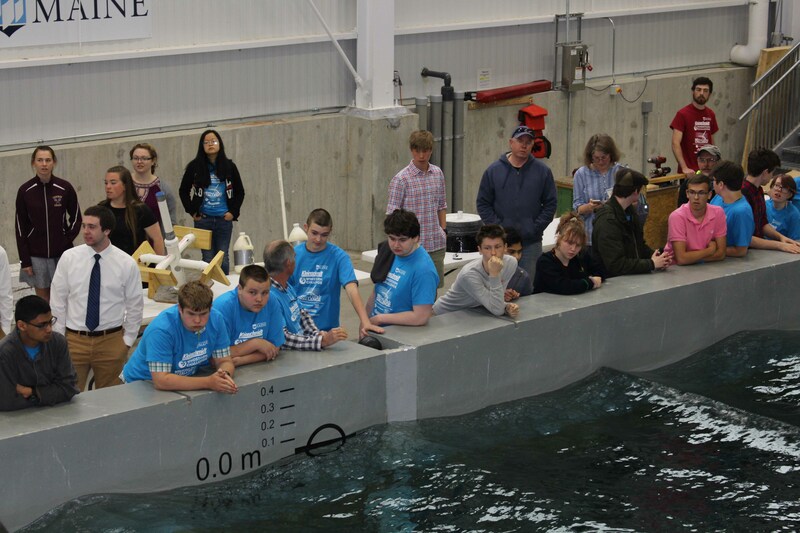 The Kleinschmidt Windstorm Challenge 2019 will be held in the UMaine Advanced Structures and Composites Center Alfond W2 Ocean Engineering Lab on May 17, 2019. Teams should plan to arrive between 7:45 AM and 8:15 AM, and should plan to depart around 2:00 PM. What’s the Kleinschmidt Windstorm Challenge? 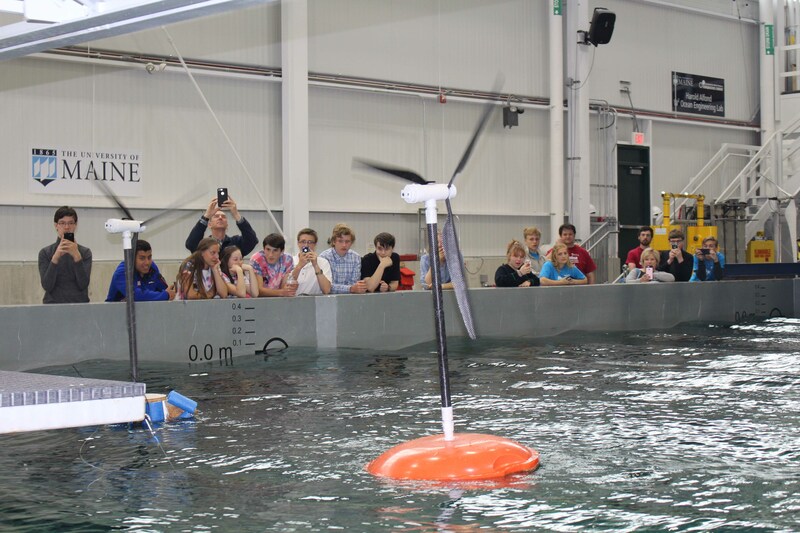 Teams must independently design and construct a floating platform for a 1:100 scale deepwater wind turbine, based on a 285 foot full-scale 5 MW turbine. This scale would thus be a turbine tower height (to hub and not including blade length) of 33 inches. Designs should maximize stability under various wind and wave conditions. Judges will also score an oral presentation. 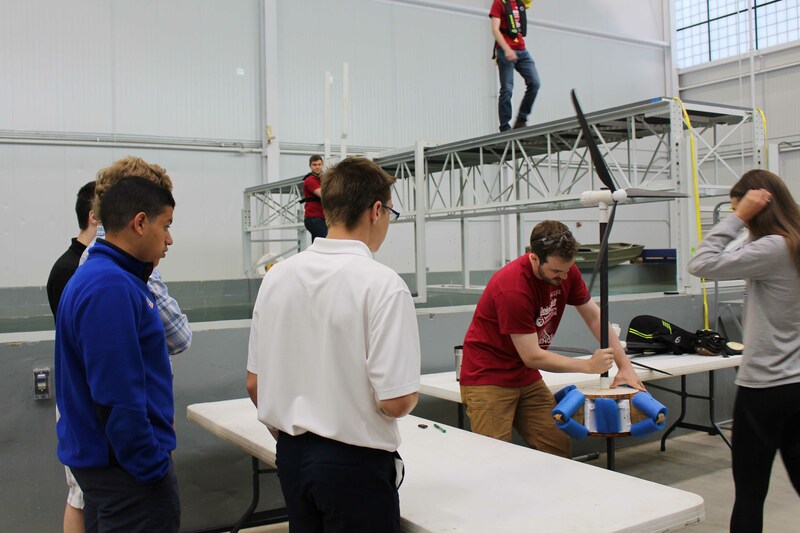 While constructing the floating platforms, it is very important for all parties to act safely. The use of any tools and materials should be done with proper knowledge of the tools, personal protective equipment, and adult supervision. High School Teams are teams of 4 or less high school students. 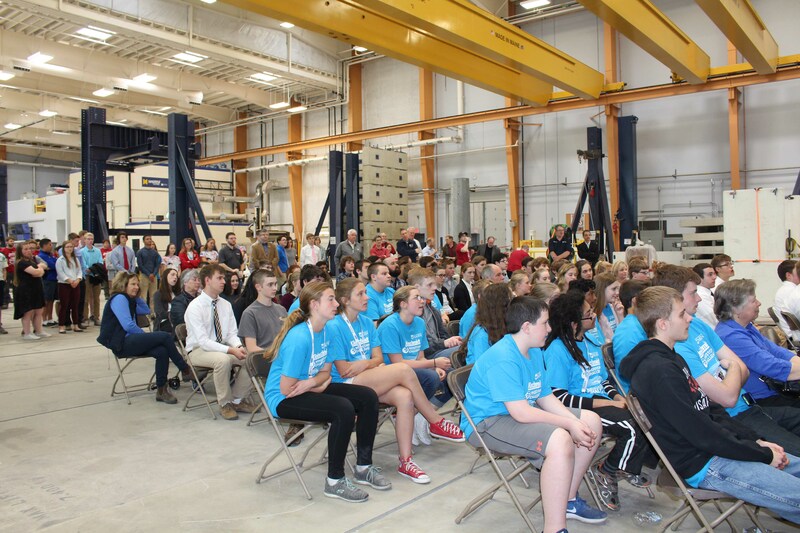 Members of the top qualifying team will be offered an internship at the University of Maine Advanced Structures and Composites Center, contingent upon their enrollment at UMaine, valued more than $20,000. 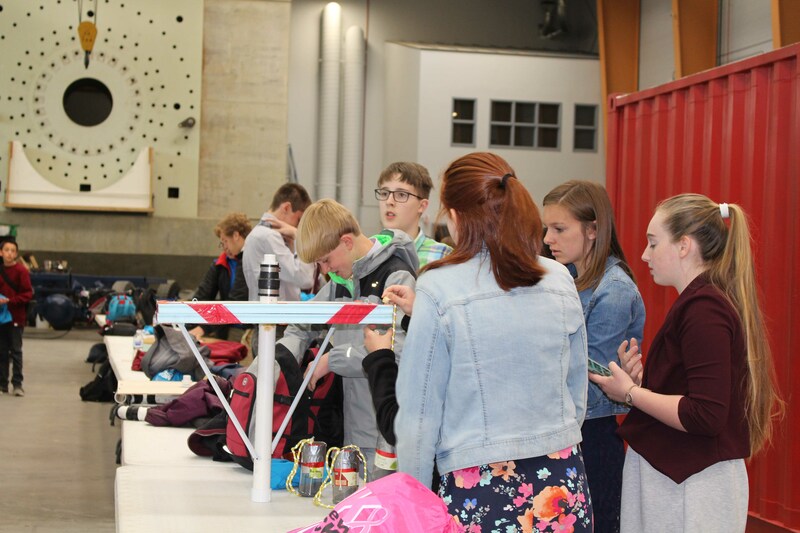 Middle School Teams are teams of up to 10 middle school students. These groups will test their platform and provide a presentation, just like high school teams, but they will not be considered for the internship award. This type of team may be ideal for student groups who have not participated in the challenge before, classrooms that want to work together to submit a single platform, or similar scenarios. An alternative award will be granted to the members of a winning middle school team. The 2019 Kleinschmidt Windstorm Challenge would not be possible without generous support from Kleinschmidt Associates.